So you’ve plugged in your phone and suddenly, a wild call appears that you have to take. Rushing to answer your phone and deal with the cord can be annoying and dangerous if you’re as clumsy as I am. 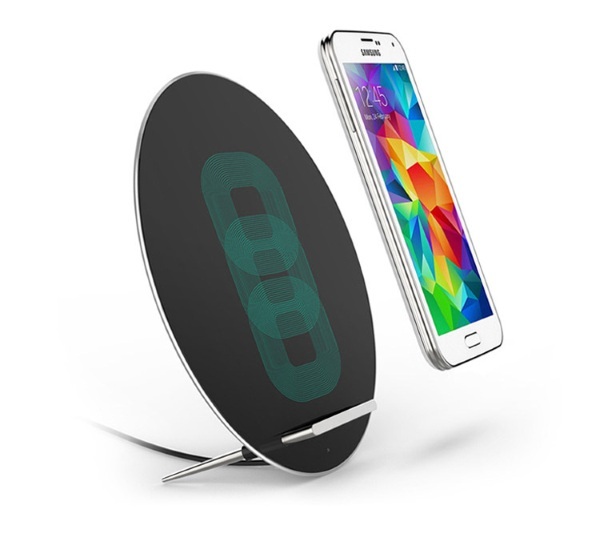 The Moon W7 Wireless Charger lets you charge your phone, cord free. 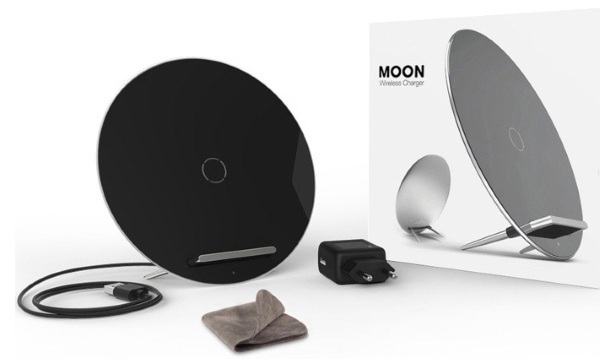 The Moon W7 looks like a satellite but is actually a QI charging station with three induction coils. It was designed to work with smartphones and tablets and also also acts as a stand so that you can still view media on your device while the battery is being refilled. It can be laid down for a charging pad as well. It’s an attractive piece of equipment, runs cool and silently so it won’t be obnoxious wherever you choose to keep it. It works with QI enabled devices or devices that are compatible with the universal receiver coil. With the Moon W7, your phone can be used freely and easily, even while charging. The Moon W7 Wireless Charger is $49.90.